Jason was awesome. It's great to have someone who I'll be able to trust with my vehicles. He went above and beyond to make my life a little easier. Jason is very friendly and knowledgeable. Did an oil change on my BMW E90. Will book again. Showed up early! Very professional and personable. Really knows his stuff and did a great diagnostic. Worked with me to find an affordable solution. Knowledable and knew what he talking about. Quick service, had my water pump switched out very quickly, no more leaks and over heating! Thanks! Very pleased with Jason's service. His analysis of the true problem was very much appreciated. Jason was friendly and very knowledgeable. I asked a million questions and he answered all of them. He showed up on time and fixed everything in a timely manner. Even though it was around 105 degrees outside he still gave fantastic service. I appreciated his honesty and dedication to getting my car running again. Should I have a problem with a vehicle again, I'll call him. Jason arrived on time as scheduled and completed the job as requested flawlessly. Great job. Will use him in the future. Thank you. Jason was very great at his job and was very informative about other information we talked about. I would definitely recommend Jason! He arrived on time he was Kind courteous and fast with his work I would definitely ask for him again. Very helpful, and friendly answered all of my questions, and gives good advise on what to do. Jason is extremely personable and professional. Completed his work in a timely manner and explained fully on what he did and what the problem was. 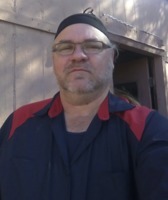 I would not hesitate to request Jason for any of my automotive repairs in the future. He was extremely professional and very knowledgeable. Thank you Jason for all your help. Jason saved me money because the car shop I went to diagnosed the wrong thing! He is very honest and knowledgeable, and I can describe a sound and he pretty much knows what it is before looking. Jason is my preferred mechanic now!